Her name must be only spoken in awed whispers or reverent ululations. Like Big Foot or the benefits of the Keto Diet, many opinions and theories circulate around her, some fact, others fiction. After being lifted out of their shoe leather by an eruptive hit from her stripling yet brawny frame-some claim that she is a FemBot created in an elite government lab, never aging and with pistons instead of joints under her flesh. Others, after witnessing an effortless apex jump, maintain she is really Amelia Earhart, once lost in the Bermuda Triangle, then returned to earth by the preternatural spirits of the sea who gave her the gift of immortality. She came back with a distaste for airplanes, but still holds fast to a love of flying, only now doing it on skates. Local anthropologists speculate that this is an annual ceremony devoted to the deity and April Skater of the Month, She Who Cannot Be Named, so that she will descend and bless the beginning of the skating season (and crops). While theorists maintain that the entity known as She Who or “Hooter,” is really a spirit that manifests itself in a series of historical reincarnations, (currently they have discovered evidence that Joan of Arc was one such, and also that Hooter may have briefly inhabited the bodies of Bill Stevenson and Bob Saget), this version was originally from Chicago and brought her love of music, skate boarding and dad jokes with her when she moved to Denver. She lives with a hound named Ruby (“The Rubes”) and a fella named Jay, who does RMRG’s fantastic poster art, but who’s true talent is ubiquitous photo bombing. One of the league’s OGs, She Who began skating in 2004, is the only original skater still with RMRG, only growing more formidable with time (see FemBot Theory). She was part of the 2010 WTFTDA Championship team and always steps up for anything that is needed. Like literally. ANYTHING. She served on the BOD, was captain of her home team the Hoods, takes part in a myriad of committees, and was RMRG’s WFTDA rep for years. Currently She Who wrangles our officials and officiates, a grueling and vital task, works on the Facilities committee for the new warehouse, plays in every game possible or refs for them. Hooters deity status is also enforced by the fact that she is what is known as “Triple Threat,” in the derby world, meaning she was a long-time jammer, and now pivot/blocker. This is a common theme when people discuss the entity known as She Who. Mild mannered but with a penchant for hilarious non-sequiturs, She Who is a shape shifter on the track but will wave away any props given to her. This is why Rocky wants to toot Hooter’s horn even if Hooter is mute and wont toot. RMRG would like to light a candle at the alter of our friend and national treasure She Who, and we look forward to another century of watching her skate, or of reading about her next reincarnation as a guerrilla leader fighting for freedom in a developing country. One of the best things about derby is having community all over the state/country/world that you may only see a few times a year at tournaments, mix-ups or RollerCon and stay connected on Facebook for the rest of the year, but these are friends that you look forward to seeing nonetheless. While our global conglomerate of masochists is a perk, sometimes you’re even more lucky and one of these far-flung skaters transfer to your league! RMRG was definitely fortunate in this aspect when we got Nintendoll, formally of Fort Collins Roller Derby. Doll being voted “Sweetest Sugar,” at the 2019 Rocky Mountain Prom is something that seems to be a theme. Her former FoCo teamship reports that, “Doll is known at FoCo for befriending everyone and making sure we had a fun time, win or lose. 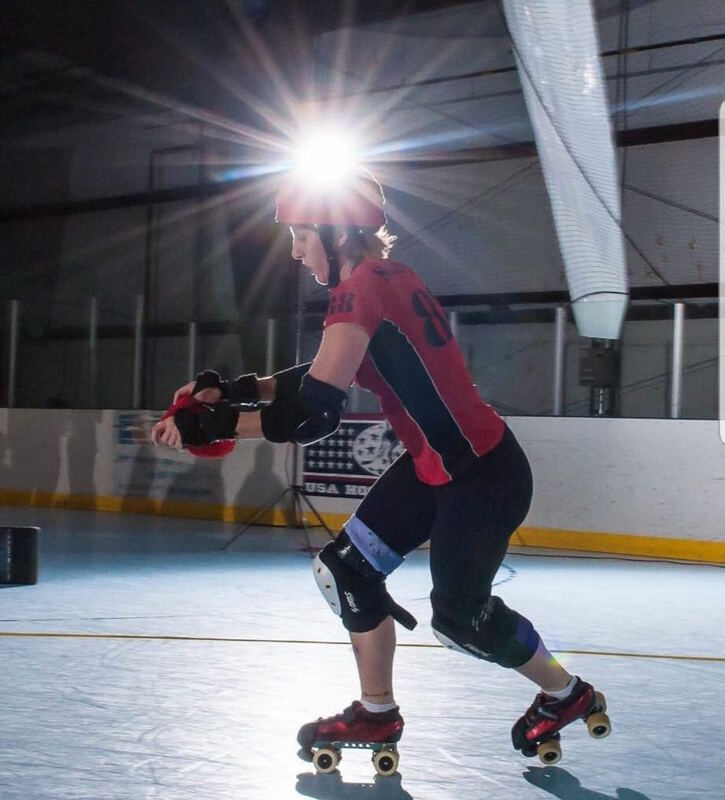 She was a new recruit liaison with FoCo and helped develop our derby sisters program.” This isn’t surprising since Doll is easily one of the most positive individuals on the league who always has an enthusiastic word to put in for her teammates, no matter what the level. Our spies also tell us Doll got her graduate degree from CSU in communication. She hates green beans, mean people and little dogs. 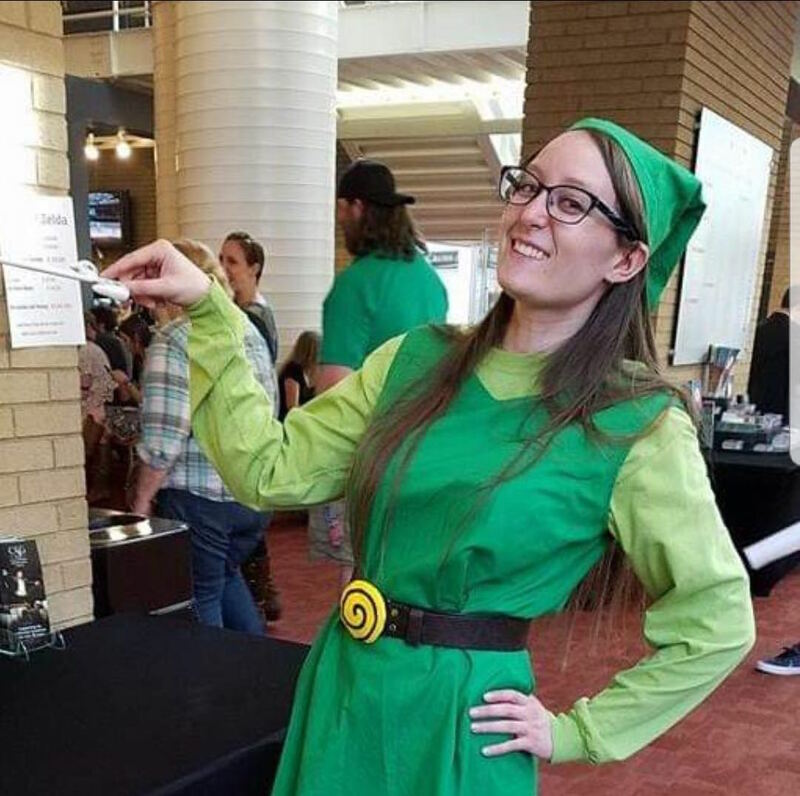 She loves Zelda, her derby number is a play on “404,” an error code for “not found.” Her non-derby hobbies are video game, sewing, baking and hanging with friends. She lives with her boyfriend David and their kitty. Doll loves to host game night and probably movie nights as well since she’s also into Princess Mononoke and Miyzaki films. Rocky Mountain Rollergirls is definitely the better for having Doll in the fold. She is a tireless, dauntless jammer and a kind and matter of fact teammate. When Doll gives you a compliment, you know you can be proud of it since anyone who spends time with her can see how genuine she is. Rocky Mountain celebrates our hard-as-nails-sweet-as-sugar Nintendoll as our March skater of the month, and now we’re signing off before we make some sort of “luck-of-the-Irish,” puns about the situation, and don’t nobody want that. (Also special thanks to FoCo skaters Huckleberry Spin #619 and Leslie Nope for being Mistresses of Intel (MUWWAHHHHHA)).